Resources – New International Version Bible (NIV) THE HOLY BIBLE, NEW INTERNATIONAL VERSION®, NIV® Copyright © 1973, 1978, 1984, 2011 by Biblica, Inc.™ Used by permission. All rights reserved worldwide. YouTube video “Praise You in the Storm” by Casting Crowns. Thanks so much for your quick reply, kind words and prayers, Pastor Wellman! My road of church life has been very rocky. Although I am not a social butterfly, I did o.k. (social interactions) at my former workplaces before this big mess. For some reasons, I did not know how to interact with other people in the church settings where I attended various churches on and off throughout my life. The way how you have been corresponding with other people and me here is something new to me (versus at a church). Thanks for being so nice and understanding, Pastor Wellman! It’s very challenging to be me. On the one hand, some people told me not to worry about it. It will make you go crazy. So, stop blaming yourself when you see people scratching. The thing is that I don’t feel as terribly itchy as some of these other people (if I feel itchy at all). On the other hand, other people identified me as the bad guy. Yes, some of the people at the last church had some sort of skin reactions and were scratching away. I felt shunned. Maybe God knows I am the “weakest link”, He uses this hardship to perfect my lack of certain traits. One thing I question is that I don’t know how much more I can take. Can I really handle this “weight”? You have no idea how much I appreciate your listening and presence, Pastor Wellman. Thanks friend…I can’t believe that they would say you passed on the fogginess or the tiredness to them. Wow…that is disappointing in these people. You take heart friend that God uses most powerfully those who the world most lease regards. God has a history of using what the world thinks are insignificant people but to Him, He doesn’t think that way and neither should we and I won’t. How much more can you take? God promises to never give us more than we can bear and I know you believe God. How much you can bear is only a question that God can answer. The other blizzard thing is that a few of these people either directly or indirectly said I also passed them the tiredness and fogginess. When I hope in god to provide for my family, it is wrong to hope for the money to provide a place to live in, food to eat and to be able to pay my bills. When I pray I ask God for the money to be able to provide the things above. Its not the ” Money ” I pray for its the ” Money ” needed for the above. So confused. May God richly reward you for your faith in Him and your faithfulness in trusting Him “R” and I will surely pray that God provides for you my friend. I do hope this article helped you my brother. Jesus told His disciples to not worry about their life because there’s a lot more to life than what we’ll wear or what we’ll eat (Matt 6:25) yet I tend to gravitate to that. It is my natural tendency to worry. I have to resist this. The late pastor and Bible teacher, Adrian Rogers, once said that 85% of the things that we worry about never come to pass and the other 15% are things that are out of our control so why worry about something that will never happen and if it does, and you can’t change it, why worry? If you can change any of that 15% of things then change it and if you can’t, why worry about what you can’t change? Of course, he is exactly right. We can’t even add a single hour to our life by worrying (Matt 6:27) and in fact, worry can actually shorten our life span. Jesus rebuked Martha about worrying over the unimportant things in life (Luke 10:41) and seek out what the true priority is in life and do that (Luke 10:42). Hello again Jack, Hope all is well and you have been blessed. So here is my question, when we “Trust in the Lord with all our hearts…” Proverbs 3 5-7. At times I find myself feeling guilty of just sitting and waiting and feel that I should be doing my part, such as looking for a Job I should be sending out my Resume, so then I feel that if I am sending out my resume that I am not truly trusting God with all my heart, as I am taking it back into my own hands and God is looking at this as Do i really “Trust” in him, Do I may any sense here at all? Hi Pastor. I am in a similar situation to a lot of the people that comment here. I know Jesus. That I know. What I don’t understand is why God puts us in situations that seem beyond our ability to cope. I am at an age where I thought I would be looking at retirement to do more in the ministry. Finances as they are do not allow that. In addition to finances I apparently and admittedly have not been nice (emotionally) to my family. I have expected them to help and they can’t apparently because I am so bad. I am facing inpatient therapy for depression and hopelessness. I am thankful that I have time available to do this and insurance to pay for it. What I am most concerned about is how to deal with life when I return. I understand that this is a future issue and there is no way to understand that. Please if nothing else pray as I am at my wits end in hopelessness. I am so far in debt I don’t know how to get out. I have prayed to God for help. I feel like giving up.I don’t know why my prayers are not answered. I need help. Hello Joyce. These are times when I feel so useless. All I can tell you is I will pray for your situation. Have you spoken with your pastor? Some churches have emergency “deacon funds” to help. That won’t solve your debt problem but you can also ask the members of the church to pray for you about this as an unspoken needs to keep it private. God’s ways are sometimes hard to figure out. This is an encouraging article on ‘hope’ but there is one part that seems to be stated out of context. “for God will never allow us to ‘suffer’ beyond our own capabilities to handle it. The Scripture says “for God will never allow us to be ‘tempted’ beyond our own capabilities”, that’s different from suffering. God does sometimes allow us to suffer beyong our own capabilites to handle it and in doing so we turn to and lean on Him for to get us through. For when we are weak He is strong. Hello, Pastor Jack! My desperate situation led me to surf the net to search for its possible solution until I found your amazing site, thank you God for directing me! Pastor, I’m a public school teacher for almost 10 years now. I had no problem during the first half for I got full my salary. When I started to loan my salary to different loan institutions, my life started to become miserable because I was heavily indebted. Until now, I’m paying for my debt to the point that I receive almost nothing from my salary because my loans are automatically deducted from my payslip. As a result, I’m suffering extreme financial crisis, thinking every moment where to get extra money to pay my bills, house rent, to buy food, etc. I think I’m one of the most prayerful persons in the world, but I guess the Lord doesn’t hear me at all, this makes me feel hopeless. Why does God seem to ignore my cry for help? I’m so lonely about having no one around to care about me Jack. I’m struggling to recover from this situation that I’m into but I can’t do so much right now. What am I going to do? Please pray for me too, Pastor. I am so sorry sir. I will pray for you. God uses suffering to make us depend more on Him. When all you can do is nothing, all you must do is trust Him sir. Our hope is in God yet it seems in my life my day to day needs are all too practical and carnal in nature. With every loss I keep coming back to him, asking him when it will be enough, knowing I am willing to give all I have for him. Yet today I despair, my most humble hope seems too high, and my losses have grown beyond count. I want to claim victory, yet I live in defeat and failure. I long for a God capable of more. I know, however, that asking does not relate to the answer. He may desire to teach me how to lose. I dictate none of his plan, and my agony may yet prove to be for his glory. I don’t know how to ask God to save me this time. I have lost my job, and now because of the bank I fear I will lose my house. These are things of the world, but they were the things I enjoy(ed). I find no joy now. My hope for a future has turned into a bitter struggle to survive, and even that is only for those I love. I can’t ever measure up to his love. He is with me, but his hand seems far away. His actions seem to be only just enough comfort to survive. It would be greater mercy to withhold such comfort, I am so very tired of fighting, and it seems like I’m fighting alone. No amount of faith can save me. God can, but it doesn’t matter what he can do, he could rain down blessings on me and curses on my enemies. Yet what matters is what he does do. As for that…. survival is the least merciful option. I don’t know how to push on for another hour, another day. I am sorry Max. What a bad place to be. I do know that Job lost everything but a wife who told him to curse God and die and God never did tell why Job had to suffer. I don’t know why either. Perhaps Jesus is returning soon and all of this will be a faded, distant memory (Rom 8:18). I can only pray for you sir, not much else. I feel, and others have told me I am the 21st century Job, I know God allows suffering, but he was set free and everything returned to him 7 fold, I just don’t, as hard as I try cannot understand…God USE me, help e to help myself so that I might help others…please hear my cries, as in psalms, David said, Lord do not turn a deaf ear to me…please I beg you!! Hello Mr. Northcutt. Am praying right now. Yes, Job was set free from suffering, but we don’t know how long that was…it could have been years or decades. Pease call your pastor and tell him and ask your church to pray for you as we are commanded to do (James 5:14) as we need one another (Heb 10:24-25) and seek to do what Jesus commands us to do (Matt 25:34-39) as we do it to Him (Matt 25:40) or we do nothing for Him (Matt 25:41- and that’s not good (Matt 7:21-23). THANK YOU!!! Since I posted my comment for prayer, in the last 30 min, I have met a social worker here name VEE, she”s a christian, she spoke for the first time to me that God has a plan for me and she brought tears to my eyes, then I come into this little room w/nothing, and I see your comment and you said you were praying right now for me, again I cried and praised God, 2 miracles in 30 MIN!!!! Thank you, you are a good man, btw, I typed my comment earlier today so fast I messed it up a little bit, but to Hopeless, I’m praying for her, please also ask the Lord to continue to bless Vee, she’s a wonderful girl, I want so bad to help these poor people in here, in this money worshiping hell on earth, Please pray that the Lord guides me to help them, My heart breaks everyday for them, I don’t know if I should say the name of this “place” lets just say A>L>C> in Colorado springs, CO, they need help, I’m trying to help them, even in intolerable pain and heartache, I very well may be the second Job, But Lord its your will, not mine, use me, help them, continue to bless Vee and I feel something very strong for “hopeless” Lord help her as well, thank you sir and God bless everyone else on this marvelous web site and others in the world, And God bless you too Pastor Wellman, THANK YOU, we may not meet in this world but we will see each other in heaven and I cant wait. In Jesus name…AMEN. Hello, I’m graduated from med school 2 yrs ago and because I became addicted to online surfacing and fictions, my grades were poor and barely passed my usmle exams, because usmle score plays a huge role in residency matching, even though rest of m application were far better than others, I didn’t match for 2 consecutive years. I am applying this years but so far nothing, no interview invitation, I prayed and begged but sometime I lose faith, because it takes a miracle for me to get matched and I don’t know how GOD will do it or want to do it, sometimes I pray to GOD that this time if for me to get residency position is not part of your plan, then please take my life away. Christian can’t suicide but GOD has the power to take souls away. I have no idea what GOD want to do with me or what is my future… It is just so painful to live thinking about loans, failure and being poor. Jesus was poor and said the Son of Man (Jesus) had no place to lay His head. He suffered more than any man ever has (Isaiah 53) and our calling is to suffer as other Christians have. Look at the Book of Job. Have you talked with your pastor about this? If not, why not? Ask your church to pray for you my friend. We need the prayers of the other members of the church. God is not finished with you as long as you have breath. Will you please pray for my family and i. I was injured in a car accident on nov 21,2016 and every since this accident my way of life have been one disappointment after the next. My car was totaled, and I’m in jeopardy of losing my job of 14 years. I was diagnosed with a medical condition that requires emergency surgery, i haven’t been able to recieve the proper medical attention because i don’t have health insurance. I don’t have enough money to seek medical assistance and pay for my bills, my bills are starting to pile up and i have two grown children plus a dog whom are dependent on me as well. I was trying to help my children get on their feet when this accident occured. Will you please pray for us, I’m at my wits end. I will be in prayer for you Kate. Please stop using scripture out of the context in which it was written. As Christians, we take issue with this when others try and use scriptures to debunk righteousness and a holy God. We must not do the same. Hello Joe and thank you for your comment, but please tell me where I have used Scripture out of context. That’s no small accusation to make against someone, pastor or lay person. 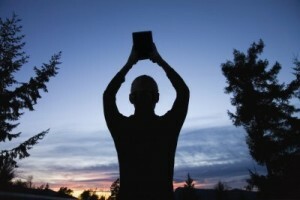 I do not see anywhere in this article that I have debunked righteousness or God’s holiness. That’s a very serious charge against a brother and you have provided no proof from what you just accused me of. Please point out where I do that and I will correct it, but I just don’t see it sir. I hope you would handle things with a bit more humility, and you haven’t even shown your proof of your accusation against me. 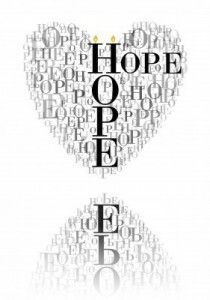 Hope is a powerful psychological tool that can help humans go beyond their self-imposed limitations. 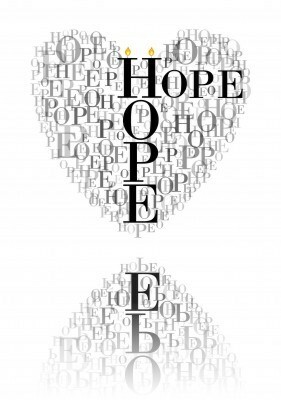 Hope really does work when your self-imposed limitations fall within boundaries imposed by physical and psychological realities. However, when what you hope for lies beyond your absolute physical and psychological boundaries, even hope in the Creator of the Universe is not going to help. For example, God is not going to make a short, fat 50 year old man win an Olympic gold medal for the 100m sprints. All things may be possible with God, but many things are improbable with God. When you honestly and intelligently observe the lives of Christians you know over decades, this is an obvious truth. Your hope needs to be realistic otherwise you will experience repeated disappointment when your expectations in hope fail. Christians need to be honest and pragmatic otherwise we lose credibility when observed by intelligent and perceptive people. It’s easy to fool the young, the simple-minded and generally unobservant folks; it is another thing altogether to fool an intelligent and perceptive person with many decades of observant analysis. Hello Mr. Taylor. Thank you for your comment sir. We hope in a known God, Creator of all things, and mankind has no excuse to deny a personal God’s existence (Psalm 19:1-2; Rom 1:18-2). God’s will, not man’s, will be done, and even if the old man prays to win the Olympics, if it is not God’s will, its not going to be done. Praying in God’s will results in answered prayer, not for things that don’t matter in eternity (like the Olympics). Christians are honest and pragmatic because it is either of only two ways for us. You are lost or you are saved. One deserves God’s wrath…the other has had it placed on Christ. Please choose life. You mentioned your experience, but human experience is subjective, but God’s Word alone is always true (John 3:36). Hola! Gracias, imprimí este articulo para compartir a una persona que acaba de perder su pierna en un accidente es un joven que se acaba de casar y va hacer papá. Yo también tuve una perdida enorme, perdí a mi esposo. Pero en Dios he encontrado la esperanza de un futuro glorioso. Que Dios le bendiga Pastor! Mi nombre es Esperanza. Y el nombre del joven es Luis y su esposa Wendy. Oren por ellos y por mi también. Bendiciones! Sí, hermano. Rezaré por él. Dios te bendiga ricamente señor, y muchas gracias. Sí, hermano. Rezaré por él. Dios te bendiga ricamente señor, y muchas gracias. (in English) Yes my brother. I will pray for him. God bless you richly sir, and thank you so much. Hello again Ryan. You must send out your resume. Why wouldn’t you be trusting God by sending out your resume? You remember when Jesus healed people? Many times He asked them to go and wash your eyes out in the water…or pick up your bed and walk. God will not do for us if we don’t do something ourselves. God will help those if they are trying to help themselves. If you don’t send out resumes, how can they know about you? Even Paul said “How can they know unless someone is sent and how will they believe unless they hear?” so Paul never just waited for God to send lost souls to him, Paul worked and labored for the Lord. You do make sense but you must not count as a lack of trust putting out effort to get a job. God puts doctors on the earth and we must go to the doctor when we’re sick and it’s not a lack of faith to go to the doctor, it’s a lack of common sense not to go. Make sense? Praise God my friend for God’s great mercy and timing He is awesome. Praying still my friend.